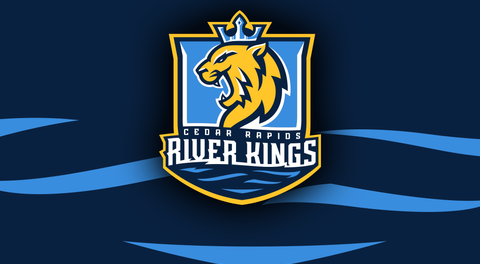 Cedar Rapids, IA - The Cedar Rapids River Kings (1-2) secured their first win of the 2019 IFL season Saturday night, 65-48, over the San Diego Strike Force (0-3). 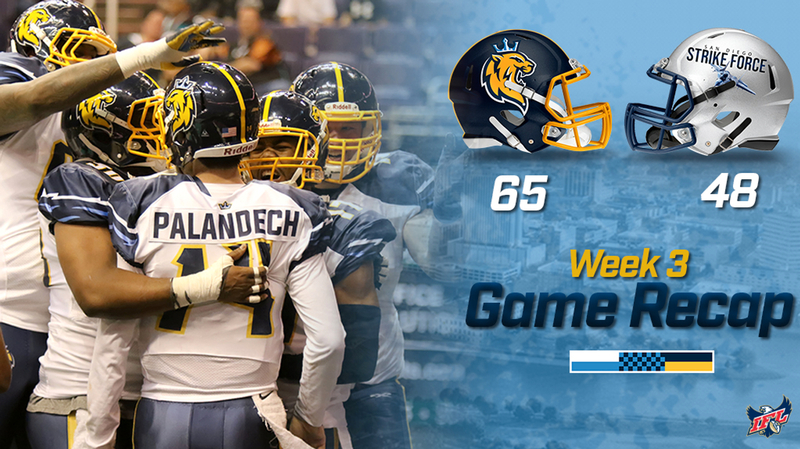 The River Kings put up a season high for points while limiting San Diego to just 242 yards of total offense. Kurt Palandech led the way for the River Kings, racking up 143 yards through the air for five touchdowns. The former Running Rebel added six carries for 59 yards. Wide receivers Marquel Wade and Jordan Smith were Palandech’s favorite targets, bringing in 6 and 5 catches, respectively. Both men scored twice, and Wade pulled out one more yard than Smith, 51 to 50. Through the first half Palandech was 8-11 for 87 yards and accounted for all four of the River King’s touchdowns. Wade and Smith split receptions, as each had two touchdowns on four catches each. Wade had 47 yards while Smith had 40. For the second straight week Nate Chavious led the River Kings ground attack, earning 76 yards on 12 carries and 3 touchdowns. Defensively the River Kings were able to stifle the potent Strike Force passing attack, as San Diego quarterback Derrick Bernard went just 8-23 in the first half. He ended the game 14-32 for 175 yards and 2 touchdowns. He also had a 33 yard touchdown run late in the fourth quarter. Ricky Johnson picked up the first River Kings interception of the season. With the Strike Force driving in the third quarter, Bernard overthrew Julian Stafford right into Johnson’s hands. The Strike Force rushed the ball 14 times earning 76 yards, led by Bernard with 36. Running back George Moreira earned 35 yards on 11 rushes. The River Kings will next be in action this Friday night against the Quad City Steamwheelers at the US Cellular Center. Tickets are on sale now at GoRiverKings.com and the game kicks off at 7:05 PM. The Strike Force have a bye.